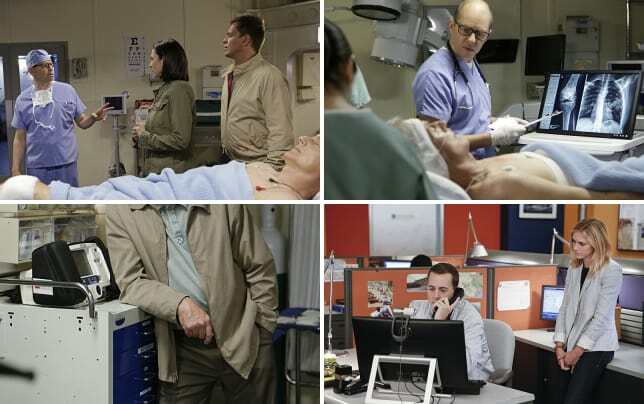 Gibbs did some real soul searching on the NCIS premiere, while Dr. Taft worked feverishly to save his life. NCIS Season 13 Episode 1 introduced some new variables to the NCIS universe: Tony as lead for the team, perhaps permanently. And the dynamic between he and Gibbs has changed – we're just not sure what that means yet. Join TV Fanatic panelists Christine Orlando, Kathleen Wiedel, David Taylor and Douglas Wolfe as they try to make sense of it all. How would you describe the episode in a few words or a sentence? Christine: Things Are Changing at NCIS. Kathleen: Look to the Future. David: "...the times, they are a' changin'..."
Doug: "My rules, my game." What are your thoughts on Dr. Taft? Christine: I really enjoyed him. He was quirky, talkative, and excelled at his job. I didn’t expect to see him after Gibbs’ surgery but found it a pleasant surprise to have him be Gibbs’ new sounding board and the fact that he’s also lost a child should keep these two on somewhat equal emotional footing. Kathleen: I felt that they were really, really pushing that character. It seemed that everyone, including Taft himself, was going on about how awesome a doctor he is. How great was he? Oh, he was asked to be the President's personal physician, but he turned that down and then spent 22 hours saving the life of a child, because he's just that awesome. I know that the team would be concerned with the bonafides of the surgeon putting their beloved team leader back together, but I just found it way too much. David: When he first appeared, my first thought was "No...not another gabby science-type a la Sebastian Lund from NCIS: NO." However, I found myself actually liking Dr. Taft, and in particular, Cryer's performance. I think we're accustomed to seeing him in a comedic role so it was great to see him with some drama chops. I like that his character has a backstory that Gibbs can relate to even if Gibbs is at least partially a glimpse into Taft's future. A small part of me is wondering whether Taft is being "vetted" to replace Ducky since David McCallum is in his 80s and Palmer isn't an MD; however, Taft seems more suitable to working on living beings rather than corpses. Doug: When I first saw the promo for this episode, I had the same concern as David. That worry quickly went away when I saw what Cryer and the NCIS writers did with the character. He's brilliant, charming, generous and utterly professional. And he knows his job. I really like him, and believe the casting director knocked it out of the ballpark when they signed him. While he tends to talk a lot, you can tell there's an underlying method to his manner. He isn't easily swayed by sentiment, as we saw when Gibbs said he was glad Taft was still in the game. Instead of accepting the compliment, he responded "are you?" Yeah, I really like this guy. And I hated Cryer's character on Two and a Half Men. What did Gibbs mean when he echoed Kelly’s words “times are changing?" Christine: I think Gibbs is in a different place now. It’s not just getting shot but getting shot by a child, it makes this brush with death different. Emotionally, Gibbs has been stalled since the death of his wife and child. I don’t think he’s put his whole heart on the line since that tragedy. I’m curious to see if that will change moving forward. Kathleen: I think Christine's on the right track. Gibbs has been near death several times over the course of the series, notably when he got blown up in "Hiatus, Part 1" back in Season 3, but this time a kid did it. A kid. A kid he had been trying to help. Gibbs has always had a special rapport with children, but this time it backfired big time. It'll undoubtedly have a profound emotional effect on Gibbs. David: I echo Christine. Gibbs has always had a way with children and being betrayed by two of them (Brad who blew up in the bus in NCIS Season 12 Episode 22, and more recently Luke) may have Gibbs re-thinking whether he's perhaps "lost his touch" and considering whether it's time to step back (but not aside). Doug: They say when someone say something repeatedly it means that thought is particularly important to them. Kelly is just an extension of Gibb's psyche, so we know he's repeating the phrase "times are changing" because it's at the forefront of his mind. At this point he might not even know exactly what needs to change, but he's getting himself ready for it. My guess is that everything's on the table: retirement or taking a back seat to Tony or just expanding his social life. He's just not sure. Knowing Gibbs to be a control freak, it's probably bugging him a lot that he can't quite nail it down, and this will show up in some additional angst to others, chiefly Tony. As Kathleen and David mentioned, getting shot by a boy he had tried to nurture means his sense for people is off, and he probably can't stand that. The dichotomy means something to him; he needs to figure it out. Being socially isolated probably doesn't help, and he'll eventually land on the need to open himself up more. What was your favorite scene or quote? Christine: I loved the scene between Gibbs and Taft at the diner because they were both honest with one another. Taft is still in emotional pain after losing his son and uses his work to cope. Work has always been Gibbs coping mechanism but with his injuries, he can't utilize it the way he previously has. It gives these two an interesting dynamic of which I hope to see more. Kathleen: My favorite scene was Tony doing a little turnabout as fair play on the terrorist with the phone call, followed by a shot to the knee and a shot to the chest. He was symbolically returning the creep's own shots. David: I found that scene with Tony and Budd to be a little heavy-handed, metaphorically speaking. I liked Gibbs stabbing Rousseau with the pen and then sardonically asking Vance "Is that where I left it?" What can I say? Dark humor resonates with me. Doug: I'm with Christine on this one. I like that Taft feels so warm toward Gibbs yet isn't letting him get away with anything. Gibbs needs a friend who's a true peer, and I believe Taft is that guy. I also liked the scene with Gibbs and Rousseau in prison. Stabbing him in the hand with the pen took the wind out of his smarmy sails. It just felt good that he did that. 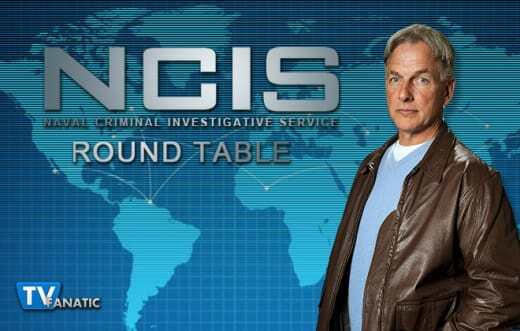 What is your hope for NCIS Season 13? Christine: First off, I’m wondering if Gibbs is really upset with Tony and just how much their relationship will change moving forward. Second, I’d love to see a story arc for Gibbs that changes the lonely personal journey he’s been on for so very long. Kathleen: I'm really looking forward to the team stepping up. Gibbs is not a young man, and his injuries were profound. He simply isn't physically capable of doing as much as he used to. I think Christine might be onto something, though, with questioning whether Gibbs is actually upset with Tony. He may be prepping Tony to take his place. David: Frankly, I'm hoping Tony becomes less of a frat rat / class clown and starts acting like the senior field agent as reflected in his title. I wonder if this will be a wake-up call to both him and Gibbs that perhaps a change in team leadership or dynamics might be worth exploring. Doug: Anything I said here would be redundant, because I agree with all of you. I'm pretty sure most of the viewing audience is more than ready for Tony to start taking the lead on things, at least in the field. And yeah, Gibbs has been alone for far too long. Still, I can't help but empathize with Gibbs' frustration at being sidelined by Vance. Better that that decision come from Gibbs himself. Franks: All the sawbones in the world...and you get Chuckles the Clown. I'll be this guy's a hoot at parties. McGee: Twice. Point blank range. Luke Harris. Permalink: Twice. Point blank range. Luke Harris.